I frequently meet with neighborhoods to talk about what we are doing to end homelessness. This post — albeit lengthy — offers updates you can share with your neighbors. If you read this to the end and follow the hyperlinks, you may be surprised at how much is really happening and the scope of the efforts to solve the problem. For starters, keep this regularly updated website Homelessness Response Blog close and you’ll be in the know about the latest actions. In most neighborhoods in our city, the vast majority of us are housed and we are eating well. In some parts of our city, however, pockets of poorly sheltered people are constant reminders that we are living the Tale of Two Cities. Most of us live in relative comfort, and over 3000 of us are just trying to survive. In tents. In RVs and cars. In shelters. Seattle is home to both great opportunity and real despair. Many housed neighbors call my office to say they don’t like to see the tents along the streets or in our parks. I understand the desire to live in a city where poverty does not exist. Yet this is what I have learned: people living in tents may have once been our neighbors, they may be our neighbor’s brother or a long lost cousin. Most are seriously struggling, many with mental illness or addictions, and many simply can’t afford to live in a rental unit in this city. It’s a rare family in our city who doesn’t have someone who needs assistance or who doesn’t have first hand knowledge with mental illness. Those of us who have resources are fortunate. I find myself in the middle of this debate: some Seattleites who are living comfortably are frustrated by the encampments and the mounds of accumulating garbage and debris associated with them. Then we have the debates about the “sweeps” – and under which circumstances encampments can be removed from public property. As I’ve discussed many times in the past, everyone needs housing and stability; yet no one has the unconditional right to camp at schools, on busy sidewalks, or in our parks so that public use is impeded. That is the frame for the polarizing debate: Many say “we’ve paid their taxes” and want to be rid of tents and RV’s. Others argue that until we can provide decent housing for everyone, people should have the right to sleep wherever they can find space. Neither of these polemic views helps solve the bigger problem. We are building residential units in unprecedented numbers across the city, yet demand for affordable housing is outpacing supply. In our all out effort to address the crisis of homelessness, we’ve connected with other cities across the nation to learn what they have done that is truly working to address homelessness. We’ve consulted with national experts including Barb Poppe who authored our Pathways Home recommendations. I’m quoting myself here: there’s no silver bullet to eliminate homelessness, but there is silver buckshot. This buckshot approach is what we are doing and we’ve seen progress in 2017. Beginning in February, the City took a new approach to responding to unmanaged tent encampments and garbage and abandoned debris. Five days a week, Monday – Friday, at 8:30 in the morning, police officers, outreach workers, city staff from the Human Services Department, Facilities Management, Transportation, Seattle Public Utilities, Seattle City Light, and King County staff from corresponding departments gather in the same room to actively problem solve around Seattle’s emergency homelessness response. This is a “person-centered” approach designed to implement the Pathways Home recommendations, and identify individuals on our streets. In the past eleven weeks, city, county, and social service providers have made significant progress on the following goals. The Navigation Center, a 24/7, low-barrier shelter, focusing on connecting residents with stable housing, is under construction and scheduled to open in the late summer. 175 new spaces are in development, including a new 100 person, 24-Hour shelter run by Compass Housing. Special thanks to the private sector: While the City and County have been leveraging levy and tax money to get more people stably inside, the private sector has stepped up and been amazingly generous to house more people. The Paul G. Allen Family Foundation donated $30 million for supported family housing. Mercy Housing NW will assume development responsibility. Starbucks donated $4 million for operational expenses for Mary’s Place. Amazon offered Mary’s Place the rent-free use of two buildings for shelter for women and children and has just announced that it will build permanent homes for residents of Mary’s Place in its new office tower on 7th and Blanchard St.
More conversations are underway with philanthropic organizations, and the business community is engaged in deep new ways. It is making a big difference. Seattle Public Utilities Department took on responsibility to clean up visible debris along our streets and highways. In the past ten weeks, as street trash cleanup has been enhanced, 2050 tons of trash and debris have been collected from identified hot spots. (To get a sense of how much that is, imagine the equivalent of 10 blue whales lined up head to tail). During this 11-week span, the Team made 1321 contacts with 499 people. 160 individuals have exited to alternate living spaces. To put this in context, between February – November 2016, using traditional outreach methods, 191 people moved from unmanaged encampments to alternative living spaces. In the past 11 weeks alone, we’ve helped 160 move to other living spaces. Here’s a lovely example of success: One of our outreach teams located a woman living in the bushes around Golden Gardens Park. She had been assigned housing, but didn’t know it because her case manager couldn’t locate her. The Navigation Team found her and let her know that their records showed she had been selected for housing. She has now moved into her new home. Under our new protocols, those who camp on busy city sidewalks or dangerous city streets are notified they cannot stay there. If they do not move within a few hours after receiving notice, their tents are moved to storage. The city recognizes there are significant impacts to individuals when their belongings are removed. So, we have streamlined a process where people’s tents and belongings can be returned to them. Rather than storing stuff that is rarely picked up, the City will deliver property that was stored after an encampment removal back to its owner if the owner identifies the belongings and calls the designated phone number. The delivery system was created to reduce the barrier to retrieving property. The expertise of the private real estate sector is needed to identify and make available existing housing units for people experiencing homelessness. The city cannot build enough new apartments fast enough and affordably enough to address the demand for housing. So a new program – building on previous success in other cities – is being implemented with the private sector, with the goal of devising new solutions. Detached accessory dwelling units (DADUs), Accessory Dwelling Units (ADUs), designated rental housing through the Landlord Liaison Program and shared dwellings are all options that will get more people safely sheltered. One goal of the Housing Resource Center is to identify and put units under contract that the city can designate and make available to hard-to-house individuals. The city and county will offer a risk management pool to encourage landlords to participate, make the landlord whole in case of a tenant problem, and provide a 24/7 case manager contact for the benefit of the renter and the landlord. Programs like this work in Hackensack, NJ, Salt Lake City, and Minneapolis. We can expand our housing options following this model. City staff is developing workshops to provide information to private landlords and property owners about the Housing Resource Center. The City organized and attended multiple meetings with business community representatives to discuss issues that result from people experiencing homelessness and who are in a health crisis within business districts. 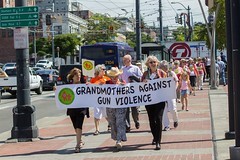 If you are interested in joining the conversation, contact my office at bagshaw@seattle.gov or 206-684-8801. It sounds like military command-speak, but it’s important. By “maintaining situational awareness”, the City is measuring both the outcomes of the EOC activation and the costs to the City. Future decisions will be based in part on this information. Renewed efforts are underway to train employees and contractors before encampments are to be removed. The emphasis is on reaching out with compassion and real alternatives, protecting the safety of encampment residents, and deepening the skills of employees who do this work. Want to know what’s going on next? Keep this website close: Homelessness Response Blog. It is updated regularly. I have frequently written about building tiny homes and how we can offer people experiencing homelessness a dry place out of the mud, out of tents , and into a secure place they can call their own – for now. Tiny homes are one step toward a longer-term solution. They are not the final stop along the way. What they offer is an 8×12, insulated, dry space with a door and windows. A space where a couple can stay together, their pets can join them, and they can lock their possessions indoors too. These homes provide stability while we are building and acquiring more permanent units. In Seattle’s new managed encampments, primarily dominated by tents, more tiny homes are being built. At the Low Income Housing Institute’s managed encampments at Othello, at 86th and Aurora, and in Georgetown these tiny home villages provide a modicum of safety and respect. An article in the Wall Street Journal acknowledged these tiny home communities are expanding in other cities as well. Many volunteers are lending a hand. Organizations and community groups are building a tiny home in one day or weekend and donating the home to those who are running our managed encampments. Late last month, I accepted an invitation from Dale Bright of Laborers Local 242 to build tiny homes with volunteers from many unions, including the Aerospace Machinists, Roofers, Concrete Workers, and Painters. By noon we had two tiny homes framed. Roofs and doors were added in the afternoon and the homes painted and readied for delivery. Our progress was captured in this short video. 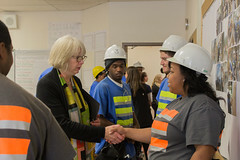 In other examples, 21 homes were built in Olympia over one weekend at the 2017 Career and Technical Education (CTE) Showcase of Skills competition hosted by the Washington Workforce Board on March 27th. All homes were made using these guidelines and transported by the Teamsters 174, Boeing workers, and others to North Seattle’s newest encampment called Licton Springs. Congratulations to the Career and Technical Education winners! If you or your group want to build one of these homes, or donate money for lumber and supplies, we welcome your help. We have space for up to 90 more in our new managed encampments. 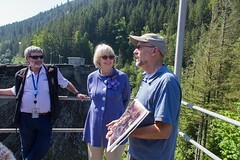 Contact my office at (206) 684-8801 and we will connect you with the service provider. 3. Homelessness Needs Assessment: Surprising Results. Our best data does not support these assumptions. These beliefs distract us from creating solutions because they are frankly wrong. Last fall, we surveyed over 1,000 individuals living both unsheltered and living in our shelters and convened six population-specific focus groups. We wanted to know why people were homeless and what they needed to locate and stay in housing. We hired Applied Survey Research, which has completed social research across the country, to do the work. Data collected confirms that people experiencing homelessness in Seattle are largely from Washington State, they were living paycheck to paycheck, and with the loss of a job or a rent increase, they weren’t able to maintain their housing. 28% are aged 30 or younger. You can read more of these survey results here. Some of the saddest circumstances related to kids on the streets. Jody Waits from YouthCare told a group at a community event earlier this month that she had never, ever met a 17 year-old who chose to be on the street because it was a good life. Many of the kids on the street are there because home is –tragically — a worse option. The kids were running from abuse or rejection. And, as confirmed by my own anecdotal experiences, most of the youth want jobs. They often need both technical work skills and soft skills because they have none. Understanding the challenges that our homeless youth and young adults face is key to creating housing solutions that meet the needs of this specific population. I’ve learned that the best way to understand people’s challenges is to ASK them respectfully and directly. Don’t assume, ask. Our focus for the remainder of this year is to create a homelessness services system that prioritizes connecting clients with stable housing. This is the proven and data-supported “housing first” model. It is imperative that people are able to obtain housing so they aren’t stuck in emergency shelter or encampments. Under Pathways Home, Seattle has identified six priority actions, listed below, and this year we’ve made progress. The City has created a Family Impact Team to case manage each family on housing wait lists. In partnership with Mercy Housing NW and the Paul G. Allen Foundation, we are creating permanent housing with services for approximately 100 families. The Navigation Center is under construction and scheduled to open this summer. Compass Housing will operate at new 24-Hour shelter for 100 people. The City has helped 14 people who were long-term shelter stayers find housing. These are people that have spent years in emergency shelter. Each emergency shelter bed serves around 5 people per year so moving these 14 into housing opens up beds for 70 or so people. Creation of the Navigation Team which pairs police officers and outreach workers. Outreach organizations worked together to create a comprehensive outreach plan. The City has increased investments in rapid rehousing, which provides flexible funding for rental assistance and supportive services. The City of Seattle, King County, and United Way, primary funders of the region’s homelessness services system, adopted new standards of performance and have been working with our human service provider partners to meet these standards. This summer, the City will competitively bid our homelessness services system, around $30 million, for the first time in over a decade. The new performance metrics will be included in all contracts between the City and its provider partners. These actions are being coordinated through multiple city and county departments, agencies, and programs. 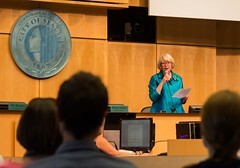 I commend our Human Services Department, Office of Housing, All Home, and our King County partners for working collaboratively to move Pathways Home forward. We know Seattle can’t do it alone. We need our county, state, and federal partners; unfortunately, the cavalry isn’t coming and we need to do our best to care for our residents through our own local efforts. I’m proud to represent Seattle’s values in caring for our community members, both housed and unhoused.